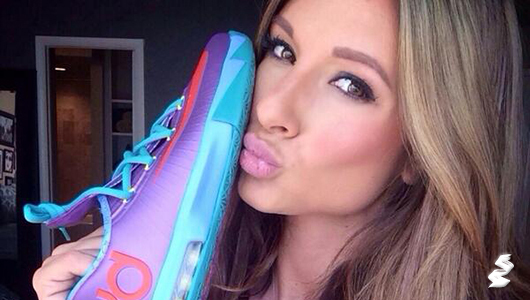 So how did Paige Hathaway become so famous on the internet? Content and consistency is how Hathaway did it, not to mention she’s extremely easy to look at it, which makes her way more marketable. Paige started building her following through Instagram, Twitter mostly, then lastly Facebook. Then onto her website which reels her audience in for a monthly membership fee and converts her followers into monthly recurring income for Hathaway providing her services on anything relating to bodybuilding tactics. First, she’s very active on social media marketing avenues such as Instagram, Twitter and Facebook to build her following. Hathaway learned how to engage with her audience by doing a Flex Friday contest on her Instagram to encourage follower participation and interaction. She posted selfies of herself working out or in different poses showing off her body and physique to her loyal followers. She also creating controversy by posting her pictures when alot of women were saying that muscles are for guys and not for girls. Controversy creates attention. Second, her personal branding is her style, look, name and niche business and her following of over 1.6 millions users between Facebook, Instagram and Twitter alike. Hathaway was able to secure a endorsement deal with Shrez bodybuilding products, which enables her to do photoshoots and tour the world showcasing the Shrez products for the company. I am not going to say that her good looks and great name didn’t help her rise to internet superstardom and attraction, because that would be a lie. Thirdly, she engages with her audience and followers through Instagram and Twitter, and therefore keeps her followers and fan interested in what the Paige Hathaway brand is constantly doing. She’s taking a “real approach” to connecting to her target audience and removing the barriers that sometimes are between the consumers and the businesses. Hathaway created a website that turns her followers into recurring monthly income, where her die hard fans can get more videos, tips and interaction with Hathaway. Make no mistake about it, she hustle for two years straight and got to where she is now, it didn’t just happen overnight, but content and consistency prevailed and build the brand of Paige Hathaway.